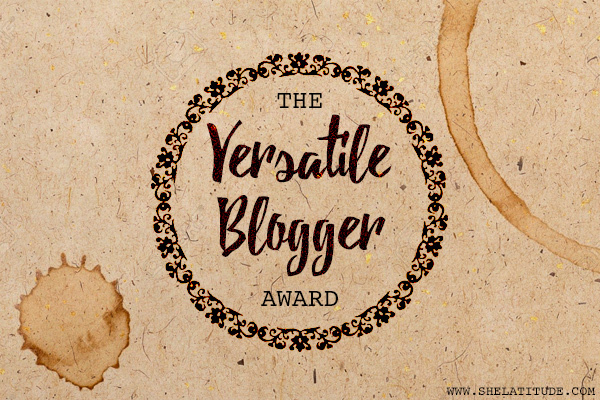 This my 3rd versatile blogger award and I am glad and happy to know that I am nominated again for this awards. Thankyouu beparvah for giving me this. And I am really greatful to you. You are really a great writer and a person too. Thankyousomuch dude. 1.Thank the person who nominated you and link-up to their blog. 3.Nominate at least 15 bloggers. 4.Share seven facts about yourself. • My website PERFECT BLEMISH is a very important part of my life. • I don’t socialize with people. Not because I am anti-social but because I cannot tolerate fake and dramatic people. • Although, I am an Indian but I am very bad at reading hindi. • I am/was a coffee addict. • I use to love going to school. Now it’s over and I miss it like hell. • I hate red colour. And sometimes pink too. These people are really wonderful bloggers that’s all I can say. I don’t know and I don’t think we will reunite. It takes both side to build a bridge but I guess here I am the only one. And I can’t be the only one always. And I am tierd of this. No, we are not gonna reunite. I am not confused. Actually I was a addict.I can control it. But still on seeing coffee it’s get difficult. So still somewhere inbetween. Hey don’t be sad. I am not sad about it.